Before I launch into my zealous monologue about natural bodycare products, I want to thank Nelah of 52 New Days, Meggy of Haus of Gala and Lindsay of A Walk in the Closet for the awards. Wow, I'm still reeling from the shock of having 3 awards in a single week. What an honor. I'm humbled and touched by the support of fellow bloggers and readers. Thank you. It was brought to my attention that a number of you wanted to order some of the products I've featured but having trouble locating them in your country. Since most of my readers are based in the US and Asia, I've decided to only link the products to either online stores that offer free worldwide shipping or charge a minimal amount. So far I've tried on a handful of products. I've purchased Bentley Organics hand-washing liquid and I'm pretty impressed by it so far. The consistency is more gel-liquid like but doesn't dry the skin, thanks to the lavender oil. I've used the Yes to Carrots body butter for a year and it is by far, the best and creamiest moisturizer I've tried. It absorbs into the skin quickly leaving no residue. My only problem with the Yes To range is that they continue to put sulfates in their shower gels. I bought a no-brand bottle of organic Argan oil for Lil L a few months ago. Ever since I found out that both Moroccanoil and Macadamia Healing Oil contain silicone, I've switched to using a drop of the pure Argan oil on my hair. The result was exactly the same. Soft silky hair. It goes to show you really don't need all the extra chemicals. While the oil works a treat on Lil L's body (I'm a believer of not putting tons of products on a child's delicate skin), I still need to top up with a lotion. After hearing friends waxing lyrical about Ren products, I caved in and ordered Ren Neroli Body Duo (body wash and lotion) today. This is far more than I've ever spent on bodycare products so hopefully they live up to their reputation. 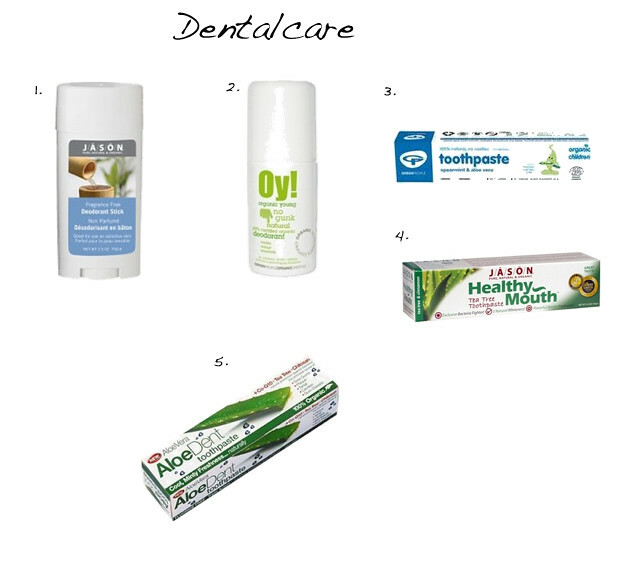 For the first time in my life, I'm not using a Colgate or Sensodyne toothpaste. I bought Lil L the Green People children's Mandarin toothpaste. She tried it for the first time and was utterly disgusted. I also purchased an additional tube of minty flavored Green People for hubby and I which she prefers to her own. My only regret is that with Lil L being 5 (soon to be 6 as she keeps reminding me), there's really no need to buy a separate toothpaste for her since the ingredients are all natural. I've been so used to a paste like consistency that it has taken me a few days to get used to the slightly more liquid-like consistency. I'm still on a steep learning curve so please keep the recommendations and tips rolling in. I've learned so much from reading your comments. Marlene, thanks for the recent posts on chemical free pdts. I am pretty particular on what my kids use but not on myself. Your recent entries however set me thinking and I am going to slowly try to replace these with healthier options! I just bought the Akin shampoo (not the unscented one but another one for oily scalp). Imagine my delight when I saw local sephora stocking Akin and Burt's Bee. I will be ordering the body care range online though. Melody, now that I know what your name is, it's time I stop calling you chicology :) One wise older mom asked a group of ladies once, "do you serve yourself first or last at the dinner table?". Every single one of us said last. "I thought so. Perhaps it's time you put yourself first for a change". I guess all mothers are alike. The best of their families and we take the leftovers. Let me know how the Akin shampoo works out for you. I'm still waiting for my Burt's Bees haircare products to arrive via post. It's just a little more than the Lovea. I have long, thick hair with a tendency to frizz and anything more than a drop will make my hair slightly greasy. I think that's because it's in a concentrated form with no additives or other chemicals. VERY interesting post, glad I've found u! (thanks to house of gala).... I'm a new follower!!! Again, Marlene, LOVING these posts!! Another product that I switched was my deodorant! I know that sounds scary because no one wants to be stinky! But, I was concerned with all the toxic ingredient that we were putting under our arm to be absorbed. I use Avalon organics deodorant for awhile (I didn't care for the sticky feel), and most recently Lafes natural crystal deodorant stick. My husband is pretty particular about smells and isn't afraid to let me know if I'm not smelling like a rose. He's never said anything to me after I switched (which was a couple of years ago). Anyways, just wanted to let you know about another natural product that you could consider switching! As always a great post! 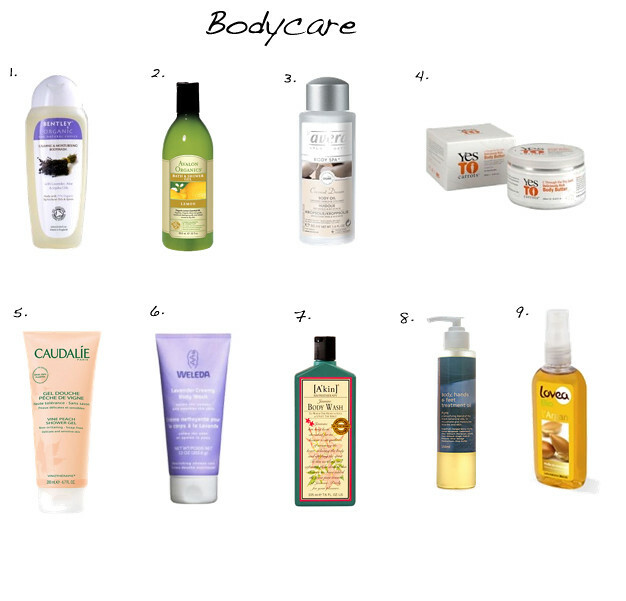 I think the bodycare natural products are often the most difficult to find. I thought I would let you know that I also gave you the Liebster blog award. I had to! You are one of my must reads so although I realize that M from Haus of Gala already gave it to you, I couldn't ignore you either. It's here http://www.findmeamuse.com/2012/01/liebster-blog-award.html. Hope you're feeling better. Maybe have some fudge :) Fudge fixing everything! very very helpful post, i enjoyed reading it since i barely knew most of the products you mentioned, and i completely agree with your theory of not using chemical products on children's delicate skin, and we shouldn't on our skin either, i mean come on people lived with natural soap for ages, why can't we? Thank you, Kimberley. I'm pleased you like the post!